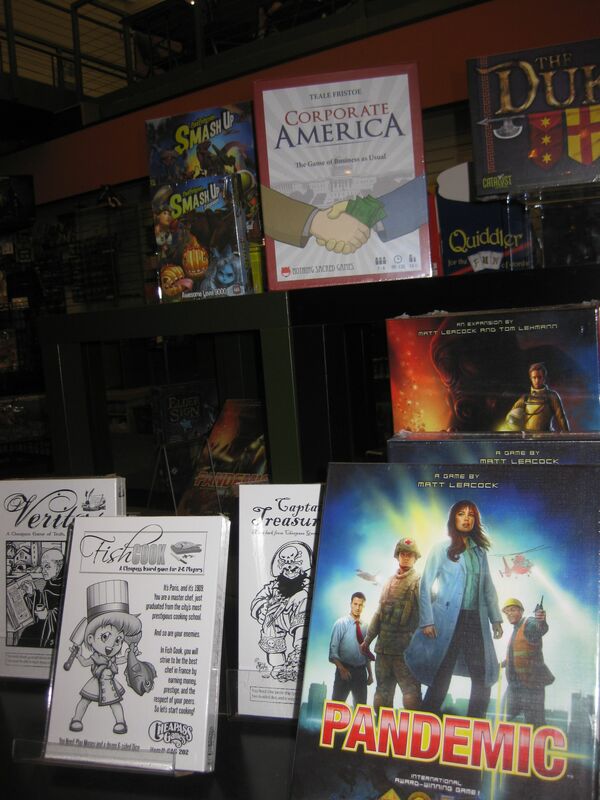 Since the Kickstarter campaign ended, I’ve been working to get Corporate America into FLGS (Friendly Local Game Stores) like EndGame in Oakland, California. The Kickstarter for Corporate America ended successfully in November 2012. In January 2013, after finishing the game and sending it to the printer, I wrote up some lessons from my Kickstarter experience. It’s been 7 months since those last lessons, and a lot has happened. I saw the printing process unfold and found a distributor. In July 2013, I posted a Kickstarter update announcing the that the campaign was over… everyone had their games! And since that point, I’ve been working to get the game into local stores and promoting it online with reviews. Given how much has happened, you won’t be surprised to hear I’ve learned a few more lessons along the way. Today I’m going to share some with you. Before you start your campaign, think about its timing, and I don’t just mean starting and ending on a week day and avoiding holidays and all that. Also consider the tax season and big dates in the board game industry. I ran my campaign until November 2012, right after the presidential election, which was a great time for my game’s theme. But it was right at the end of the year, so I had to pay a lot of taxes on the money I made from Kickstarter. If I’d spent the money in the same year I raised it, it wouldn’t have been taxed. And while the timing was good for conventions, that wasn’t planned and I didn’t take advantage of it (see below for more on conventions). I did a good job of preparing to make a game. The game was very well tested and fun. The art came together after a long struggle to find talented artists. I established a relationship with a printer long in advance, knew how much money I was going to need to produce the game, and ran the Kickstarter accordingly. I handled the 130 copies of the game that shipped to me. Could I have handled all 1630 copies? Probably not. But I was clueless when it came to actually dealing with all of those games I was so well prepared to make. With all that other stuff to worry about, I didn’t do a good job of learning about how board games are distributed. 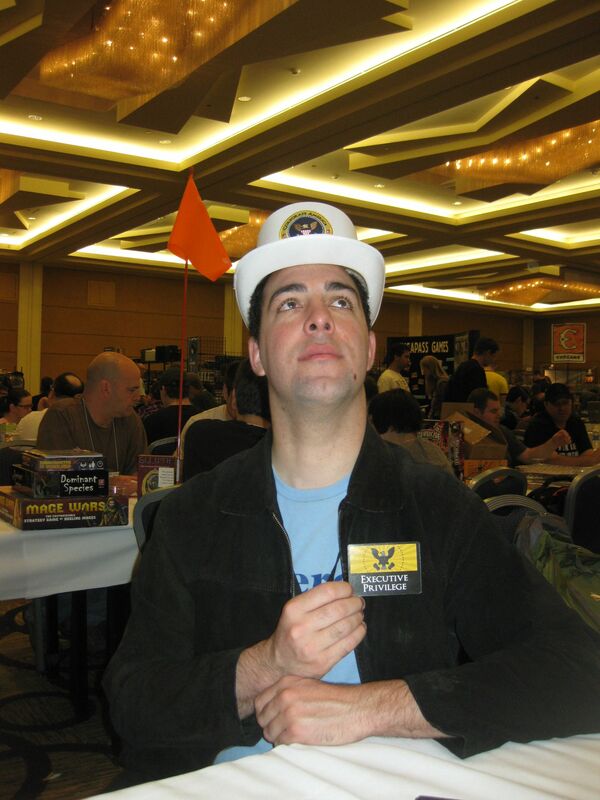 It’s not just that I didn’t have a distributor lined up to help me manage the massive amount of games I had coming my way–I didn’t even really know how the board game distribution system works. I was so focused on producing a quality game on time, it never crossed my mind that I was about to dive head first into an industry with thousands of little, independent stores who do most of the selling. How was I ever going to bring my obscure game to their attention? Well, I lucked out. 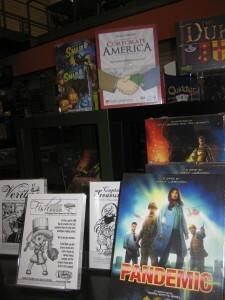 Game Salute picked up Corporate America, as it does with many Kickstarter games. They were even willing to rush their normal vetting process so Corporate America could be shipped on a boat with other games coming from Panda GM. If I hadn’t reached them in time, all of the games would have been shipped to me, then they all would have been shipped to whoever ended up warehousing and distributing the games. That would have been a huge financial hit, not to mention all the time it would have taken. 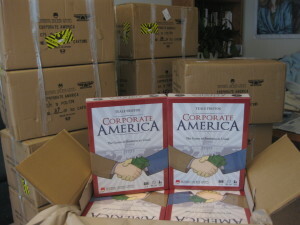 Game Salute has done a pretty good job with Corporate America. They delivered the game to backers in a timely fashion. They got the game into major distribution networks so the game has popped up at random game stores across the country. They have helped get Corporate America in the hands of influential reviewers (like Tom Vasel). They’ve brought Corporate America to various conventions that I haven’t been able to attend. But I should have done my research far in advance. I should have known that there are only a handful of distributors that most game stores get their games from, including ACD and Alliance. I should have known that these guys probably wouldn’t be able to help me, but that a fulfillment specialist (like Game Salute) probably could. I should have known who the options were, and I should have contacted them before starting the Kickstarter campaign. For anyone else doing a board game Kickstarter, I highly recommend reading up on distribution before even launching. Making your game is only the beginning–somehow, you’re going to have to deal with your games after they’re produced. I had a bunch of games shipped directly to me because I was excited to hand deliver copies of the game to friends who had helped me reach my goal so I could thank them in person. It would give me an excuse to visit lots of people that I otherwise don’t see very often. It was a beautiful thought, but unfortunately it didn’t work out exactly as I planned. It was great to see everyone when I did see them, but it was really difficult to coordinate with some people. To this day, there are a couple of friends who still haven’t received their copies of the game. Thankfully, they’re very patient and forgiving, but it still leaves me anxious. My advice is to keep your hand deliveries to the people you see regularly anyway–your game group, your nearby family, friends you go out to dinner with, etc. For friends who live far away or are really busy, it’s best to just mail them their games and try to meet up independently to catch up and celebrate. It might take longer to make it happen, but it will save you some stress. In my last post, I presented a timeline of the whole process. What I want to point out here is what I labeled that last section: waiting. While I was making the game, and even working with artists, I was able to keep things moving on my own. Once the files were sent to the printer, though, the game was totally out of my hands and on the other side of the world. All I could do was hope and occasionally pester. And that wasn’t particularly effective. But I hold myself to higher standards. And making the delay particularly embarrassing, I boasted to my backers in March that things were ahead of schedule. Even into May I believed I would easily hit the June deadline. The games could have arrived on time or even ahead of schedule, but there were long delays between printing and shipping to the US, and arriving in the US and being shipped to Kickstarter backers. During both of these delays, it was difficult for me to tell what was going on or what was causing the delays, and basically nothing I could do to speed things up. The delays may have only been in the range of weeks, but they felt like eternities. And to make matters worse, I couldn’t really tell my backers what was going on or how long the delay would be, because I didn’t know myself. The moral here is to always give yourself way more time than you think you’ll need. I say “way more” because when I said June 2013 way back when I launched the Kickstarter, I thought I was giving myself plenty of time! I honestly thought the games would arrive before June. But the fact of the matter is that a lot of the progress will be totally outside of your control, so plan accordingly. These days, there’s a ton of attention paid to Kickstarter, but not a lot to what comes after. It’s true that running a Kickstarter is a huge challenge and a major milestone, but in many ways it’s just the beginning. After you raise the money to make your game, you’re going to have to print it, distribute it, and possibly the biggest challenge of all, sell lots and lots of copies of it. And to do all of those things, you’ll need to work with other people. The best way to meet those people is probably going to conventions. Whenever I made it to conventions, I would have a lot of fun and meet a lot of cool people! But to do that, you need to go to them in the first place. There’s a lot to know about conventions. And to be perfectly honest, I’m still pretty bad at them. But I’m trying to get better. My biggest advice is to simply learn about them and go to them. Research local conventions and make sure you go to them starting right away, even if you only have early prototypes. Start getting used to what conventions are like and meeting the people that make up your local gaming community. Also look into the big national and international conventions and plan on going to them when it’s appropriate for your game. GenCon happened a couple of weeks ago. It’s the biggest game convention in the US, and I missed it. It was the perfect opportunity to show off Corporate America: it’s new, it’s timely, and it can easily attract a crowd with lots of laughter and engaging gameplay. There’s only ever going to be one release convention for Corporate America, and I missed it. It’s very possible that Corporate America would have been lost in the crowd, but without going there, the game had no champion, so it definitely became lost in the crowd. Make sure this doesn’t happen for you! A couple of things keep me from conventions. First is hesitation to spend money on them. Second is my introverted nature: being around lots of people, especially people I don’t know, makes me anxious. But it’s time I take some of my own advice and prioritize conventions. There’s a reason they call it Kickstarter… it’s supposed to be the beginning of something, not the end. But too many people (including myself) treat it as an end, pouring all of our attention into raising money without thinking about how we’re going to handle the project once it’s finished. I hope the lessons I’ve shared today will help make your transition a little smoother than my own was. I saw Corporate America being played several times at TactiCon in Denver, CO this past weekend. I kept hoping to jump into a game but the timing didn’t work out. 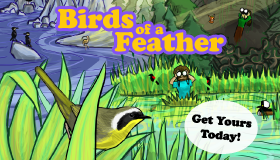 Thanks for posting all this great info about what you have learned through the Kickstarter process! Great info as always, thanks for sharing! You mention reading up above distribution; do you happen to know of any good blogs or articles or other sources of info about this aspect? Michael, I wish I had some good articles on distribution. I’m still trying to figure it out myself. Very few people discuss it, maybe because it has so much to do with money and people get touchy about that. If you happen to find any good information, please share it here!